Blanching almonds at home is much more cost-effective than buying them. 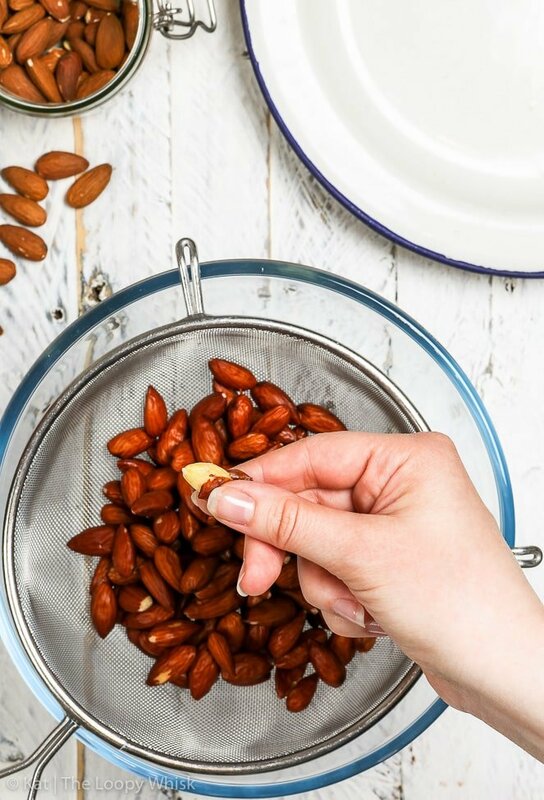 And with this fool-proof how to blanch almonds guide – it’s easier and quicker than ever! 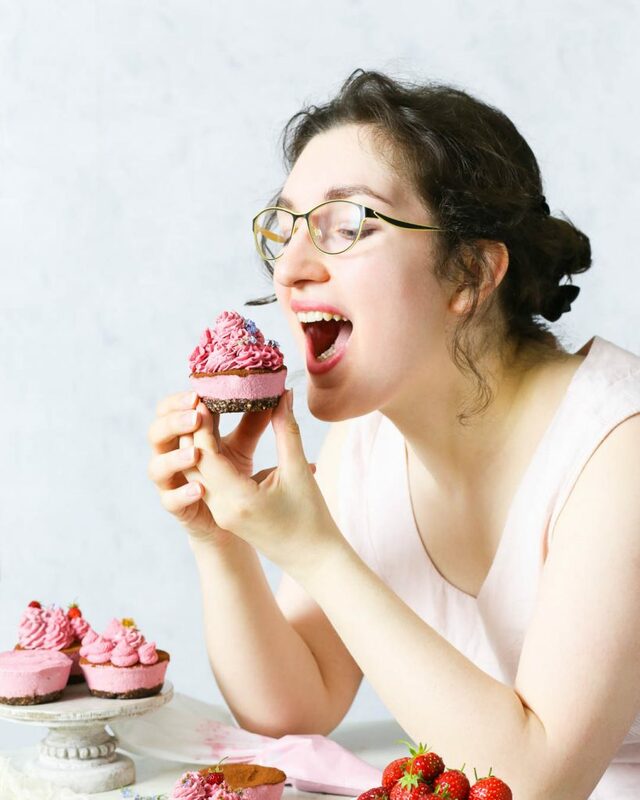 What do delicious raw vegan desserts, fancy French macarons and healthy paleo brownies have in common? Instead, they wouldn’t exist in the forms we know and love without blanched almonds. 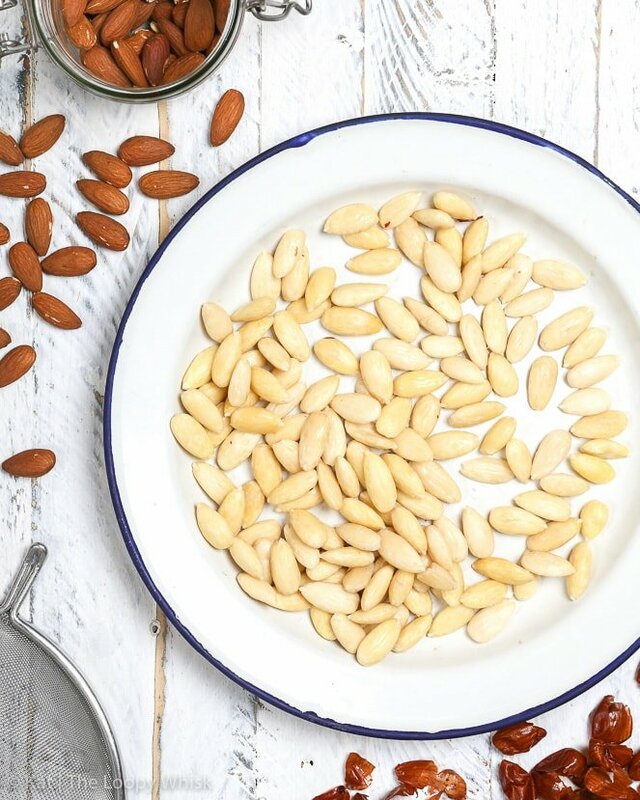 Be it flaked or silvered, as almond flour or whole, blanched almonds are central to many of our favourite desserts. 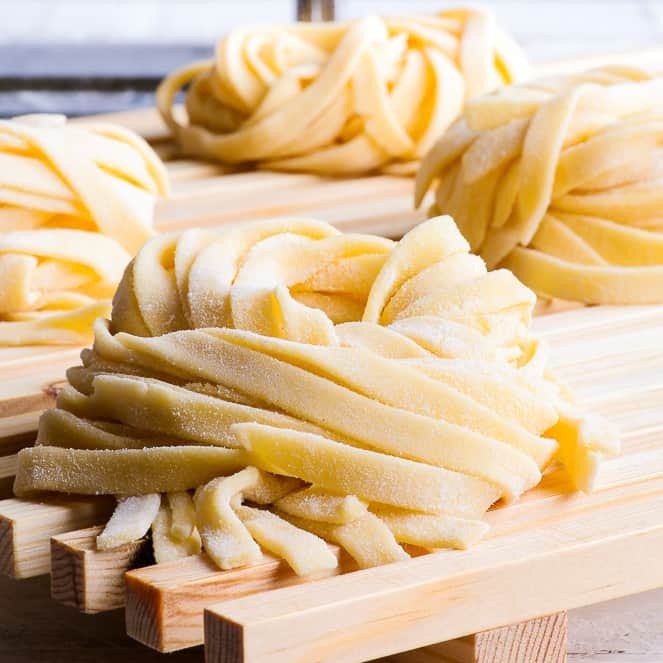 And while you could certainly use almonds as they are naturally, with their skins and all, there’s something charming about the pale, smooth, cream-coloured nuggets that are blanched almonds. But here’s the thing: they may be a-h-mazing, but blanched almonds are usually more expensive than their skin-on counterparts. And as someone who can go though a lot of almonds in just a few days, I know that the price difference can get very noticeable, very quickly. 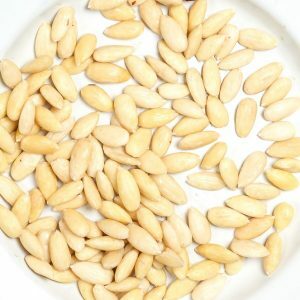 What if I told you that you can get from “normal”, skin-on almonds to blanched almonds in under 5 minutes? 1. 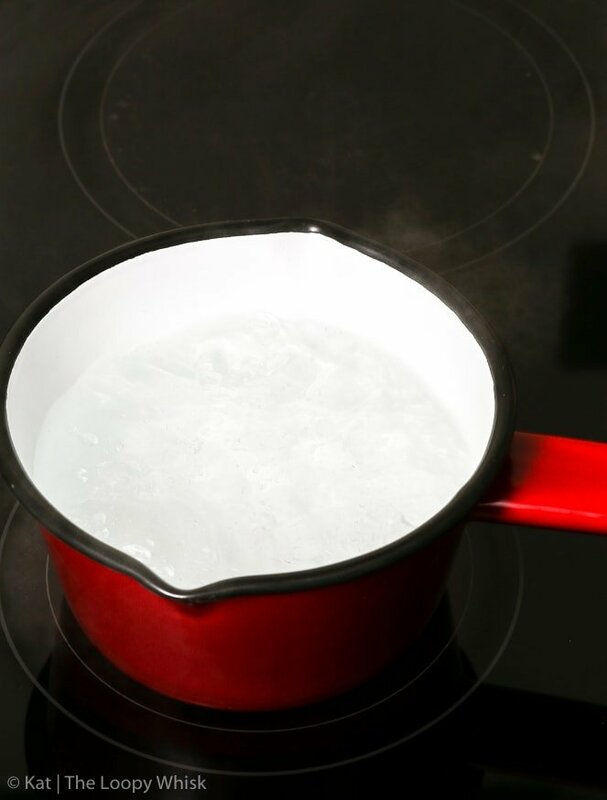 Get a pot of water to a boil. 2. Toss in the almonds you want to blanch. Leave them in the boiling water for 60 seconds. No more, no less – 60 seconds is just perfect. Longer, and you’ll be left with soggy almonds. Shorter, and you’ll have difficulty removing the skins. 3. 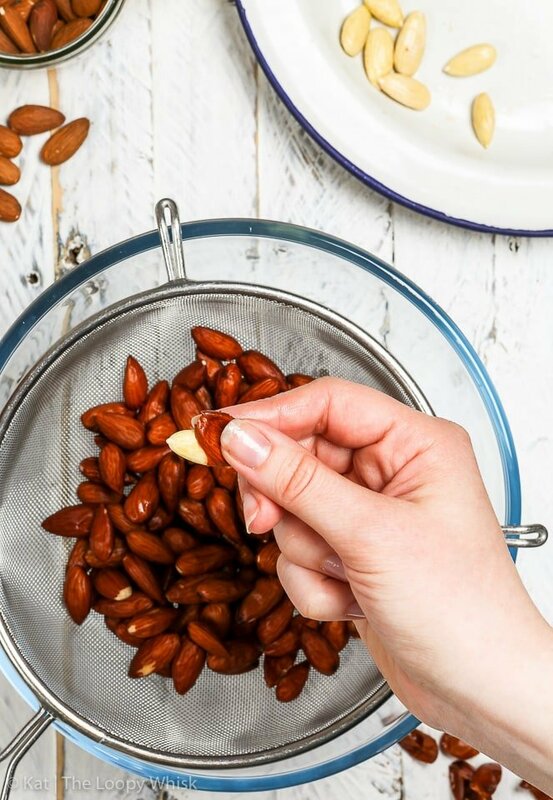 Drain the almonds and rinse with cold water to quickly cool them down. 5. That’s it! You’ve just blanched your own almonds and now the real fun can begin. 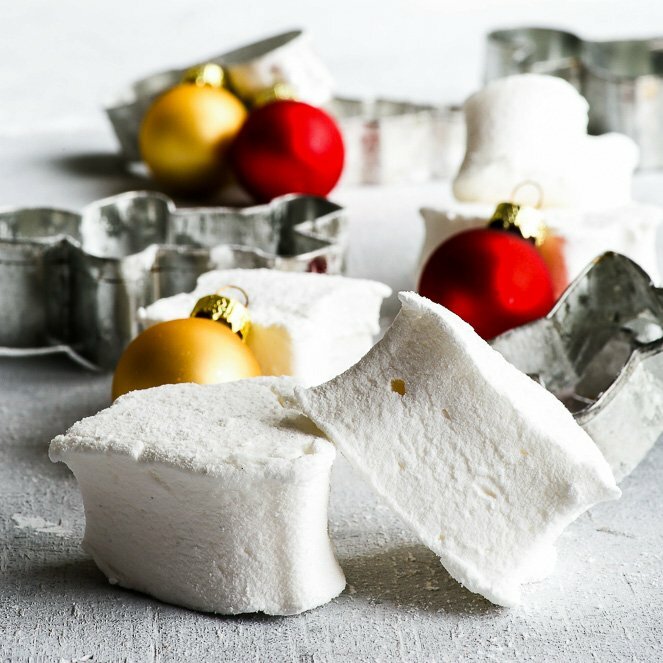 Macarons, raw vegan desserts, healthy brownies… the options are endless. 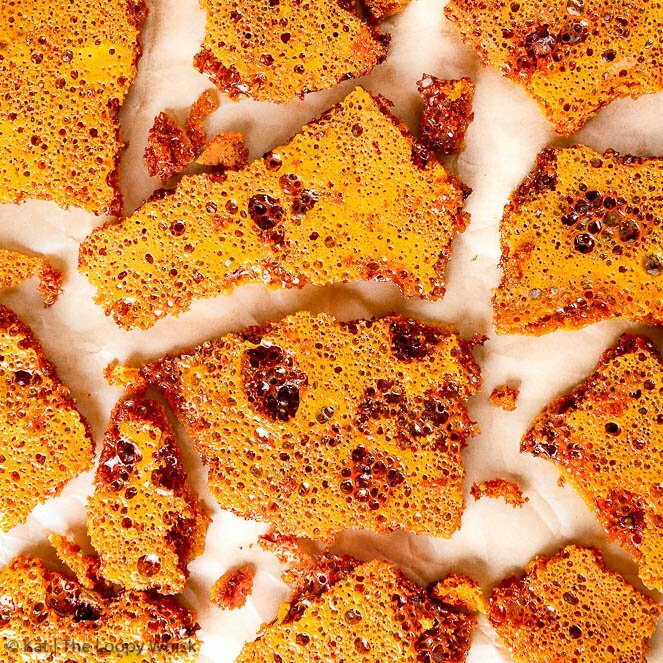 If you want to grind almonds very finely (almost to almond flour or almond meal), you might want to dry them a bit – just pop them into the oven at 210 ºF (100 ºC) for about 10 minutes or until they feel completely dry. That’s it. No fuss, no complicated procedures, no fancy equipment. A pot of boiling water, some almonds and less than 5 minutes of your time. So let’s get blanching, shall we? 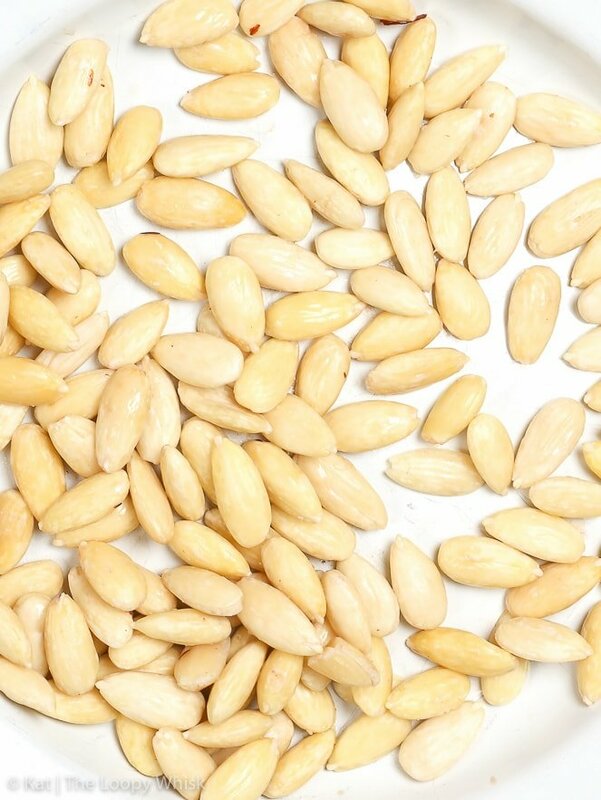 Blanching almonds at home is much more cost-effective than buying them. 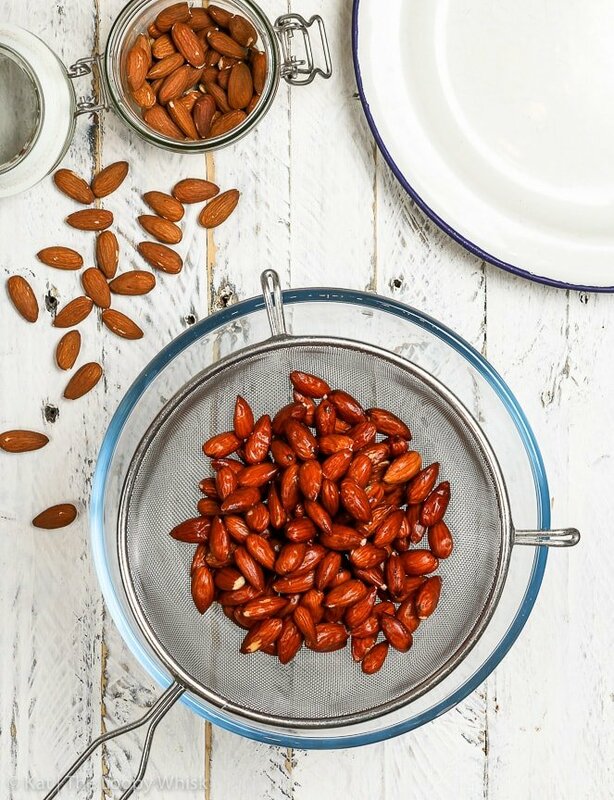 And with this fool-proof how to blanch almonds guide – it’s easier and quicker than ever! No fuss, no complicated procedures, no fancy equipment. A pot of boiling water, some almonds and less than 5 minutes of your time. 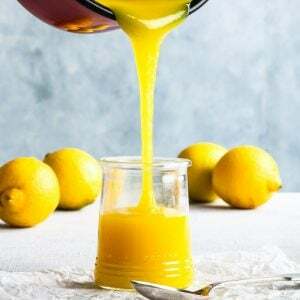 In a small pot or saucepan, get the water to a boil. Toss in the almonds you want to blanch. Leave them in the boiling water for 60 seconds. 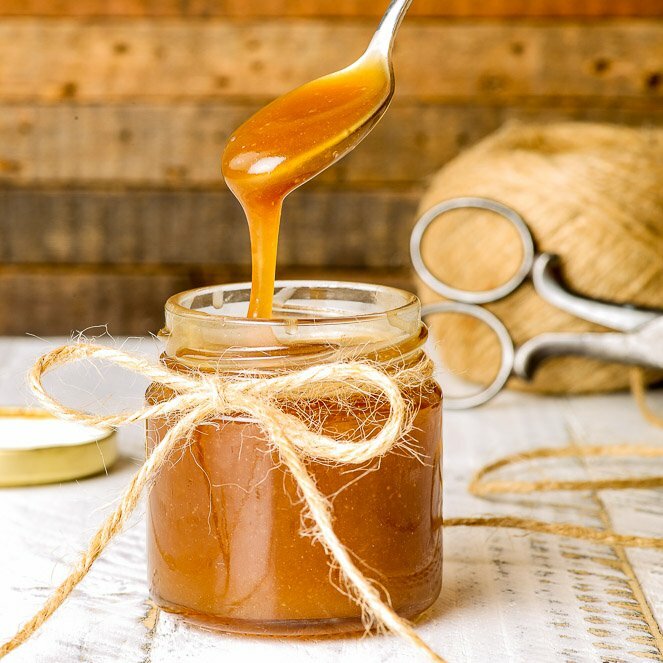 No more, no less – 60 seconds is just perfect. Longer, and you’ll be left with soggy almonds. Shorter, and you’ll have difficulty removing the skins. 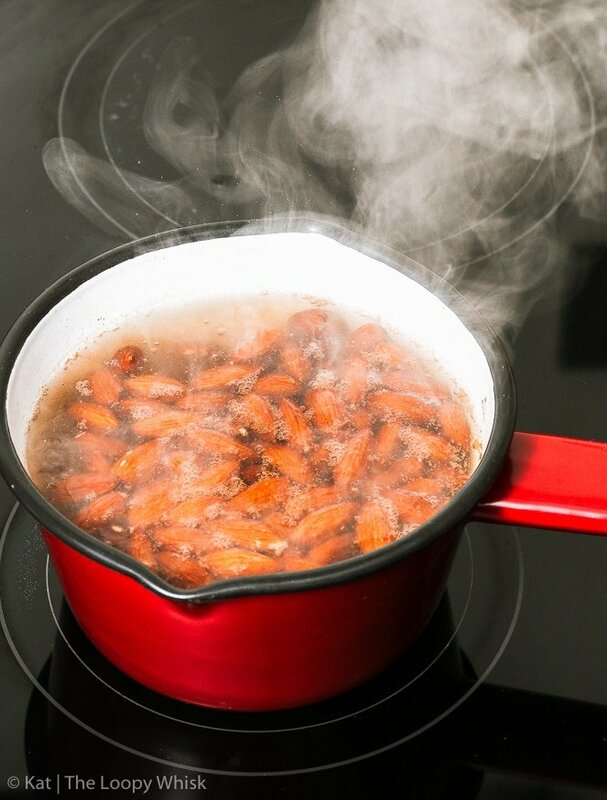 Drain the almonds and rinse them with cold water to quickly cool them down. Squeeze each almond to remove its skin. It really is as easy as just squeezing – the blanched almond pops right out of its skin. That’s it! You’ve just blanched your own almonds! Note 1: You can use whatever quantity of almonds you want – just make sure that you use enough water to completely cover all the almonds! Note 2: If you want to grind almonds very finely (almost to almond flour or almond meal), I recommend drying them a bit – just pop them into the oven at 210 ºF (100 ºC) for about 10 minutes or until they feel completely dry.